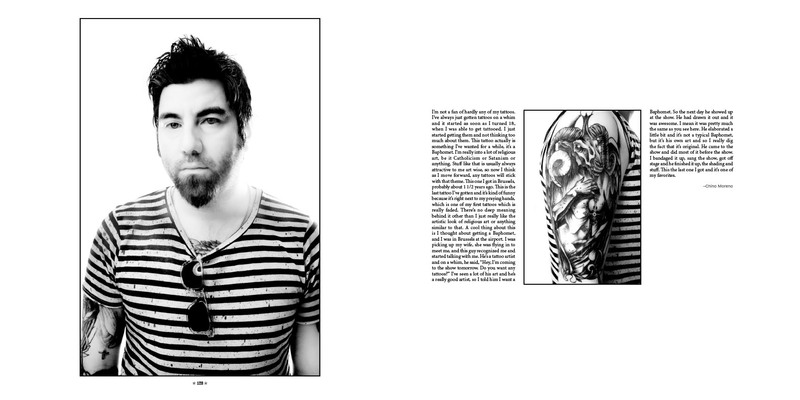 Musical Ink is a portrait project from Toronto based photographer Jon Blacker that spotlights 62 musicians and their tattoos. This exciting volume of imagery not only has something for every musical taste – featured artists range in genre from heavy metal to hip hop and opera – the tattoo styles include elaborate sleeves, creative one points, and traditional Japanese themes. Each portrait is photographed in black and white using a special infrared camera, which allows the tattoos to truly stand out from the skin because while infrared light largely reflects off of skin, it is absorbed by the tattoo ink, creating a great deal of contrast between the almost glowing, ethereal appearance of the skin and the deep blacks and greys of the tattoos. But Musical Ink goes more than skin deep and focuses on the personal meanings of the artists’ body art, be it a deep personal reflection or simply a great funny story. 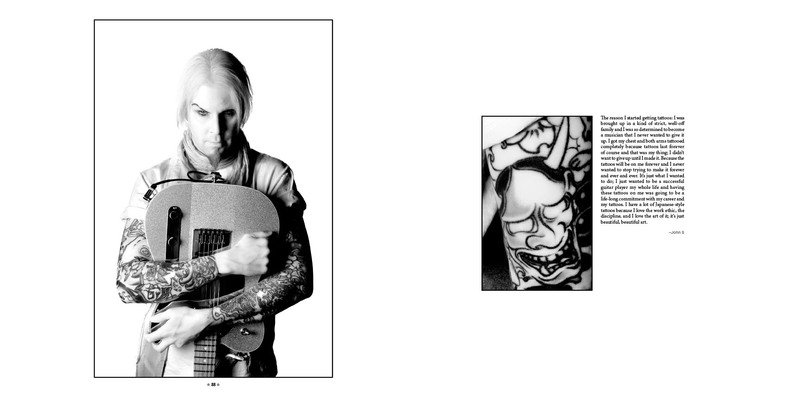 This outstanding collection of images, including artists like Dave Navarro, Chad Smith, and Sammy Hagar, is ideal for music lovers, tattoo aficionados and artists, and photographers. Behind the Scenes Video featuring Care Failure and Anthony Bleed of Die Mannequin. Jon Blacker is a portrait and music photographer best known for his lightning-fast location and live concert work. He has been hiding behind the camera for more than 20 years. He lives in Toronto with his girlfriend, her son, and their neurotic cat. Check out Jon today on Global’s The Morning Show (sometime within 7:30-9am) promoting his book, “Musical Ink”. www.musical-ink.com. The segment will be posted on Global’s site this afternoon. This title and over 5,000 Schiffer titles can be purchased at http://www.schifferbooks.com, your local bookseller, and numerous online retailers. To see more of Jon Blacker’s work go to his website or Altpick page. 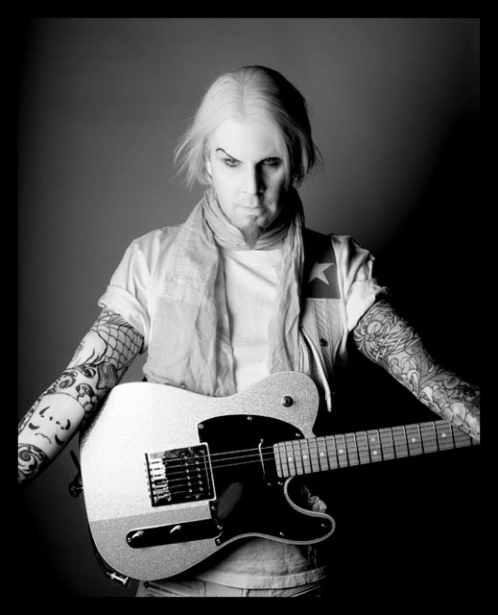 This entry was posted in Altpick, Photography and tagged Anthony Bleed, Care Failure, Chad Smith, Dave Navarro, Die Mannequin, global morning show, Jon Blacker, music, musicians, Sammy Hagar, schiffer publishing, tattoos, Toronto. Bookmark the permalink.